Auto Fetish is your Choice in Experience! 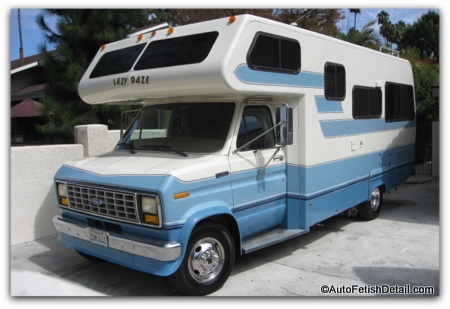 "Just because a guy can detail a car, does not qualify him to detail an RV. 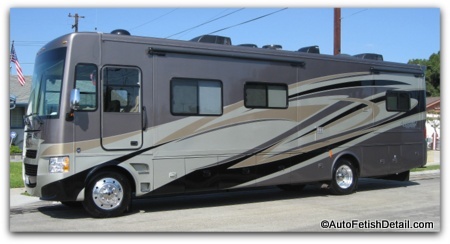 RV's represent an assortment of challenges that should not be left in the hands of a novice." 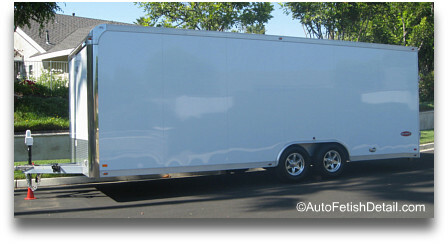 We service all of Orange County and some surrounding areas. 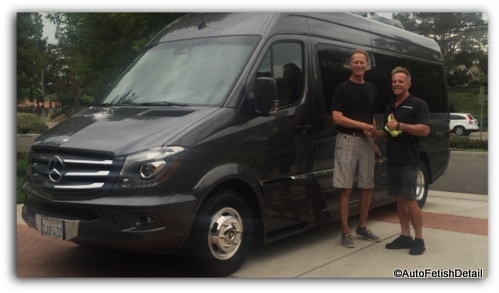 Delivering another happy customer the Auto Fetish way! "We all learn quickly in life that the difference between a good job and a great job is always about the details. You may not be particularly detail oriented yourself, but we are. Regardless of your critical eye or untrained eye, we can accommodate and educate in the process. 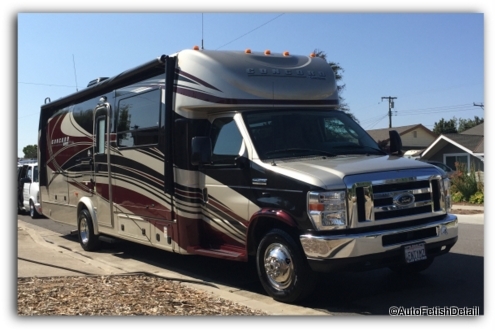 Most people are surprisingly misinformed or ill-informed when it comes to their RV's and what is required and what is possible." 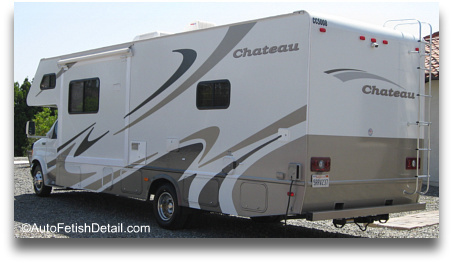 Wiping down exterior storage compartment door jambs if applicable. Bug removal extra if needed. Price is based on level of dirt. 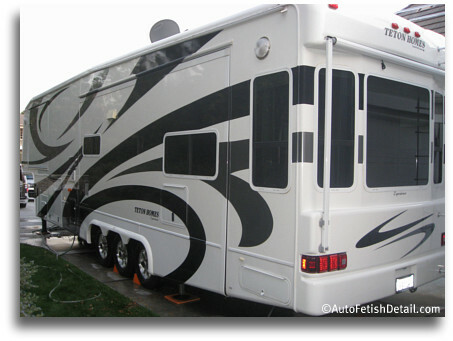 RV's with full-body paint are typically $10.00 per foot. 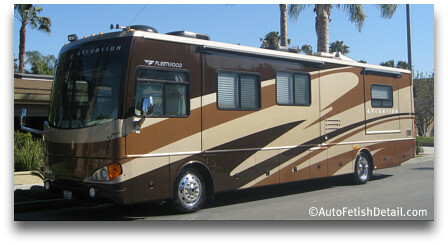 This service will suffice for 90% of RV's. 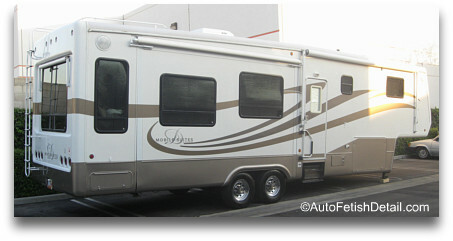 Includes full exterior RV wash as listed above including roof. 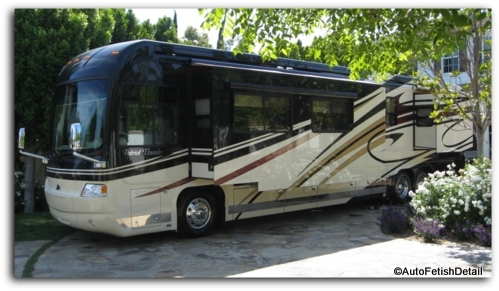 Darren's Note: Please see below for additional services we can provide when servicing your RV. 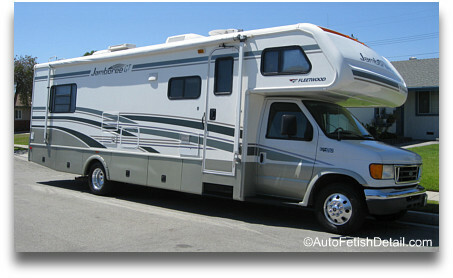 RV Roof Washing/Cleaning: this is included with any service that includes the roof. 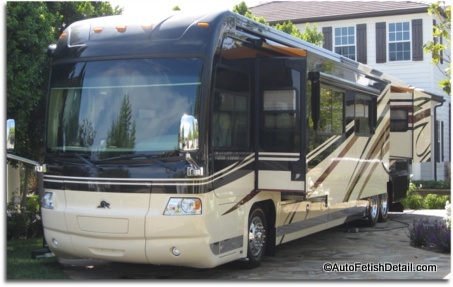 Most RV owners rarely examine the roofs of their RV. We not only clean, but we inspect the integrity of your roof and any accessories while we are cleaning and washing the roof. The above picture shows us performing heavy duty cleaning of the roof and the line of demarcation between the bottom (before) and the top (after) of the cleaning process. 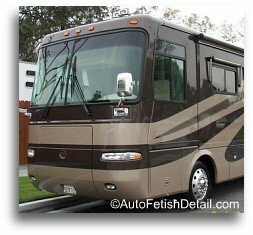 Many RV owners have never been on the roof of their RV and are often surprised when I come down showing them pictures of the before and after. 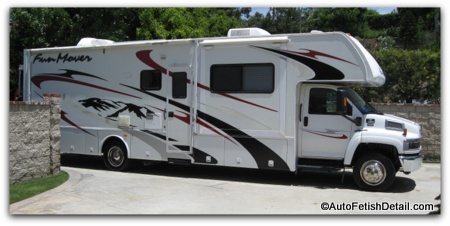 In many cases, the maintenance of an RV is so neglected that special requirements of cleaning are appropriate. 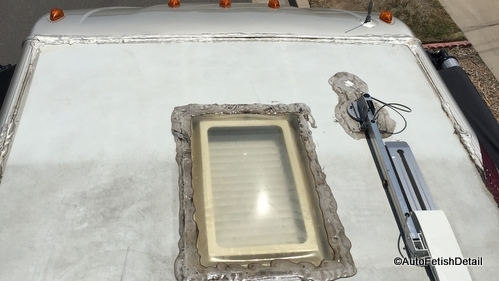 The picture below shows just one example of a roof that had been allowed to build up excessively with dirt and mold that needed extensive heavy-duty cleaning. 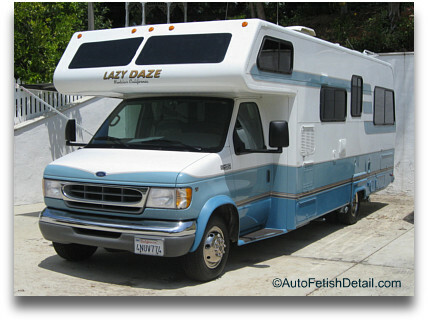 Many people find they have incurred some scratches during their travels in one form or another. Much can be done with a buffer and the right polishes to remove, or diminish the appearance of scratches. This is by quote only and can be added to any service. Using aggressive polishing techniques to remove scratches. Buffers don't do damage; the person behind the buffer is the problem. Make sure you choose wisely! Notice the blue tape used to protect vulnerable areas during the polishing process. 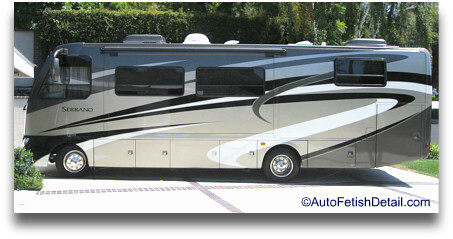 Admittedly, we don't do much in the way of interior detailing for RV's. Not that we aren't capable, it's just most people do not request this service. If you are interested, I do so and price is subject to quote. A smart alternative is to hire your house keepers. While you could hire the house keepers to clean and a carpet service to clean the carpeting, we can indeed do it all. 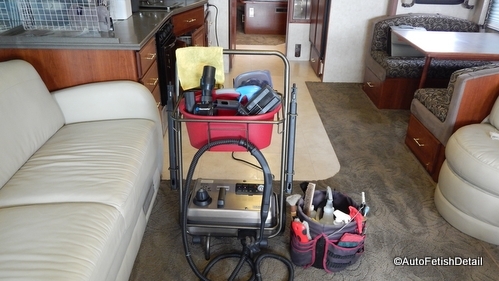 Most times we are not asked to clean/detail RV interiors. 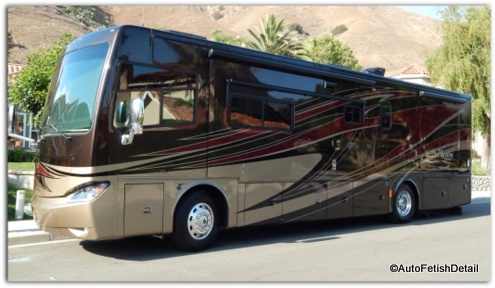 Often your house keepers can do a decent job of cleaning the interior of your RV. The biggest advantage to our service is a one-in-all type of service. 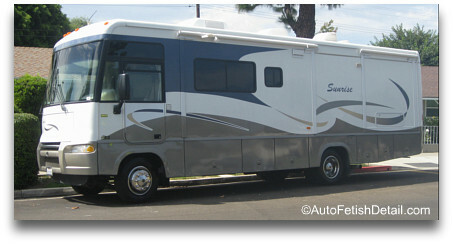 From detailing the interior in general, to shampooing/disinfecting carpeting, upholstery,furniture. 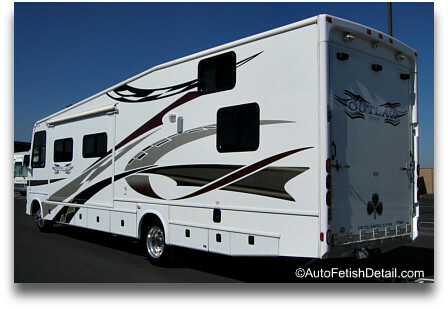 We can be as detailed with your RV as we are with cars. From the bathroom/shower, refrigerator, stove top, oven, microwave, etc. 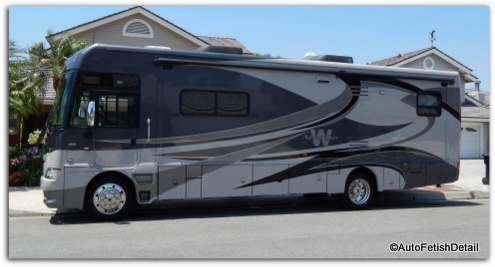 Just like cars, many RV's will accumulate an excessive build-up of tire dressing on the tires. This is due to repeated applications of tire dressing without fully removing the dirt and old layer of dressing each time. Price will be based on thickness of build-up. 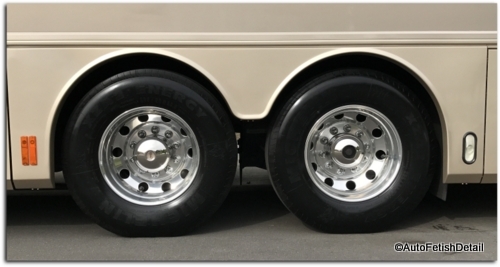 The picture above is what your RV tire side-walls SHOULD look like. 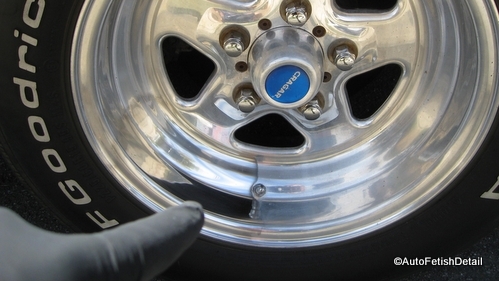 You can check yourself how bad this build-up is on your RV by scratching the tire side wall with your finger nail and see how much of this gooey build-up you can scratch off. 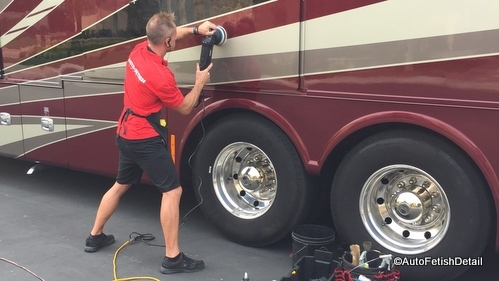 If your side walls are not properly cleaned each and every time before a new application of tire dressing is applied, then you can expect to create a heavy build-up over time. 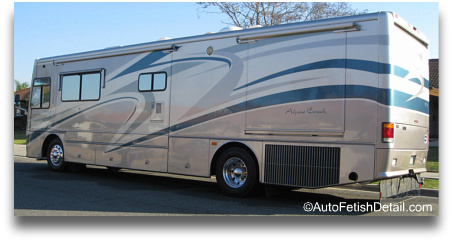 The wheel above is on a car but highlights the type of aluminum found on many of the higher-end RV's in the form of Alcoa wheels. Just like any other material, aluminum needs to be treated appropriately as it will degrade and oxidize over time. 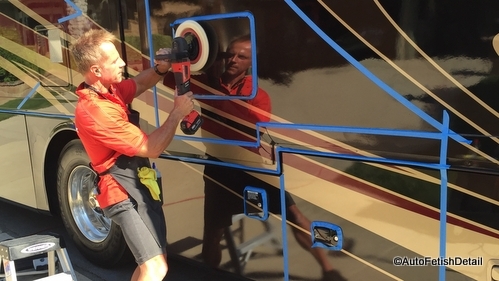 This picture shows what is possible when polishing the wheels on your RV. 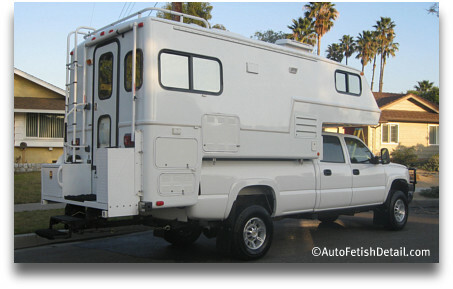 Most motorhomes, diesel pushers, 5th wheels, etc. have slide-outs that add additional time and effort to any of the above services. Some people are into having their slide outs washed, clayed, and wax. Some just want them left alone. Anything that can be done to the exterior walls, can be done to your slide outs. The rubber gaskets can also be specially treated. 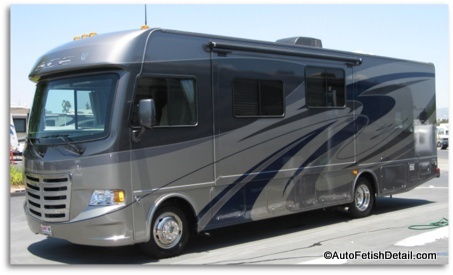 There are numerous areas of an RV that are chrome plated. These areas like everything else will oxidize and can/should be polished with a chrome polish. 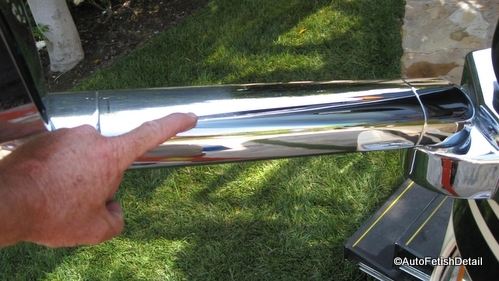 The picture above shows the oxidized area of this side mirror to the left, and the newly polished area on the right. 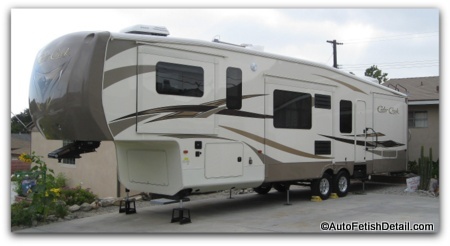 These areas may include side compartment latches, exhaust tips, rear gravel guard/mud-flap, etc. 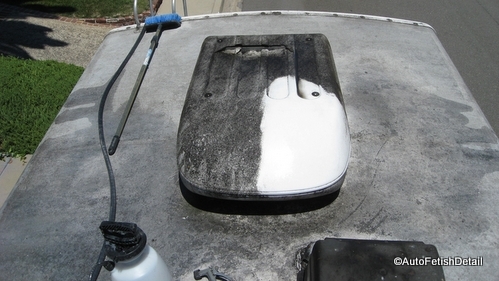 Image above shows the dramatic results when using a professional grade plastic trim restorer on the roof top A/C covers. This is a semi-permanent treatment that will last 6-12 months based on exposure and type of plastic. On the left you can see the oxidized "tiger-striping" that is commonly seen on oxidized plastic trim pieces and housings. The right is after treatment to restore the health and beauty of the plastic covers/housings. 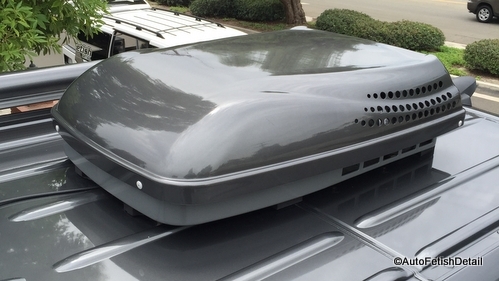 We treat the various roof accessories with a quality protectant on all plastic roof accessories. This is for accessories that are in good condition that don't need restoration, but protection. From A/C covers, satellite covers, sky lights, solar panels, etc. "Details, Details, Details....it's always about the details!" 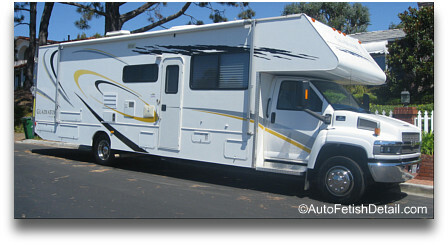 The above picture is taken from atop of a Mercedes Sprinter RV conversion. It simply highlights the endless details that can either be gotten, or forgotten by other detailers who really aren't actually "detailed" oriented. 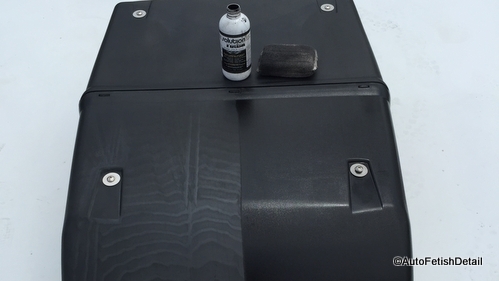 From an fully painted A/C cover that is both decontaminated and then waxed, to the individual roof slates that are meticulously decontaminated first, then waxed, to the meticulous cleaning around and under all edges of just the A/Cover itself. Details, details, details....it's your choice. 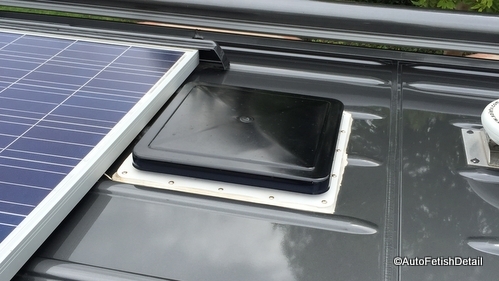 Solar panel cleaned and protected. All surrounding areas meticulously cleaned, decontaminated, and waxed. 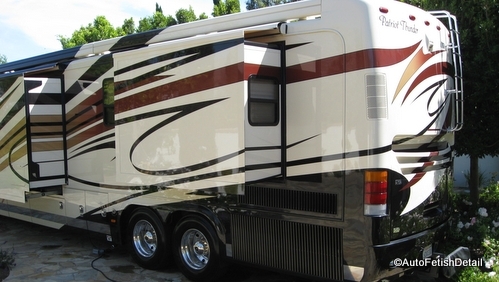 Have a look at some of the many types of RV's and other recreational, and non-recreational vehicles we have worked on. Full wash, clay, and wax. Degrease tires due to excessive dressing build-up. Polish chrome side mirrors due to oxidation/overspray. Black trim restoration: side mirrors, and front bumper chin spoiler. 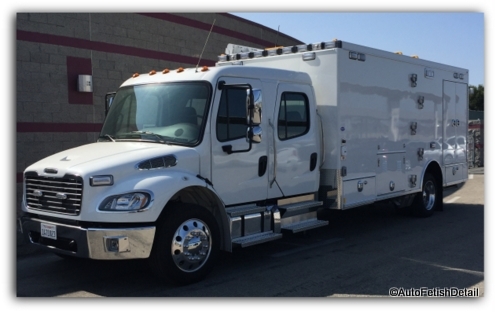 Orange County Bomb Squad response vehicle. Polish chrome bumper to remove water spots and oxidation. Clay bar front and back. Extra paint polishing on one side. Minor oxidation required heavy handed wax application. 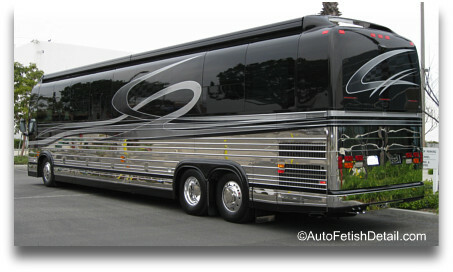 Fall-out removal on cab, including polishing and waxing. Excellent condition; required no extra work. 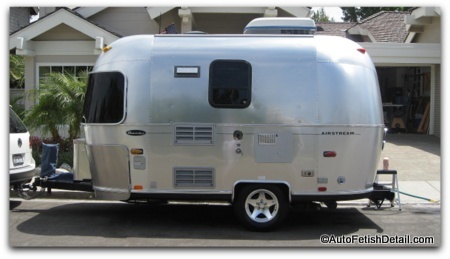 Excellent condition; special attention to stainless steel siding. Fall-out removal of cab including polishing and wax. Polishing of upper 2 pseudo windows, located on box over-hang. Polishing/waxing of lower blue painted accent area. Water spot removal front bumper. Excellent condition; no additional work. Clay bar use on front and back ends. "Heavy-handed" wax application for moderate oxidation removal. Clay bar front and rear; partial sides. Heavy handed waxing to remove heavy oxidation. Clay bar cab and front end of box overhang. Bug removal front box overhang. 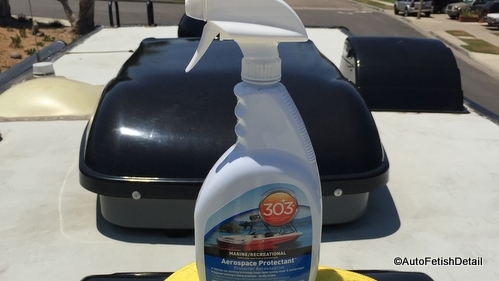 Polish/compound application to remove heavy oxidation. Truck fall-out removal and wax. Fall-out removal front and rear end. Polish front black faux windows on over-hang. I hope the following information and pictures will help you to assess your current situation in regards to your own service needs as well as your budget. 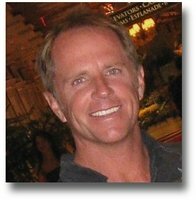 Feel free to call me with any questions as I promise to be straight forward and knowledgeable. 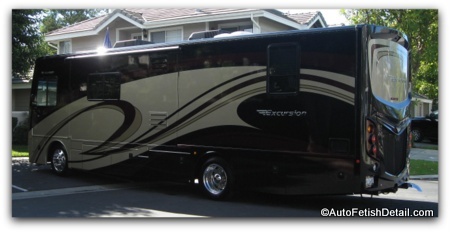 I offer RV wash and wax in Orange County, as well as parts of surrounding areas.